February maybe the shortest month of the year but it's certainly been one of the busiest yet! 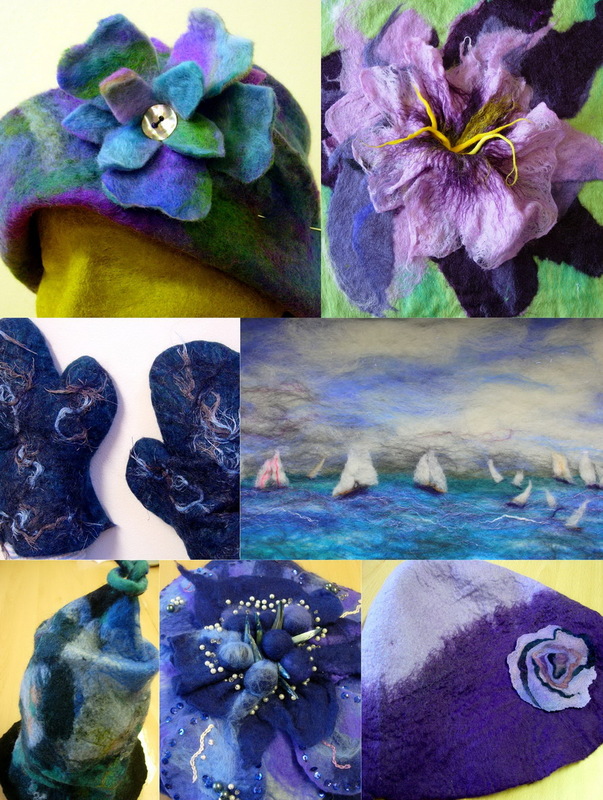 Lots of workshops - including some with distinctly winter warming themes - scarves, gloves and hats! Perfect for this exceptionally bitter weather. 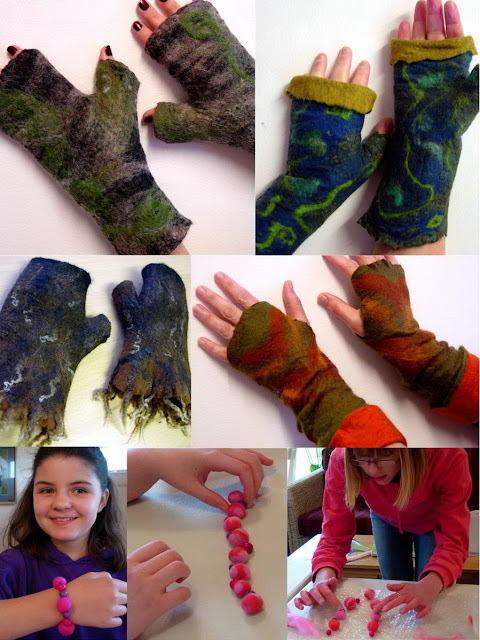 Not only can we keep warm by making felt but the end results are very heart warming too. 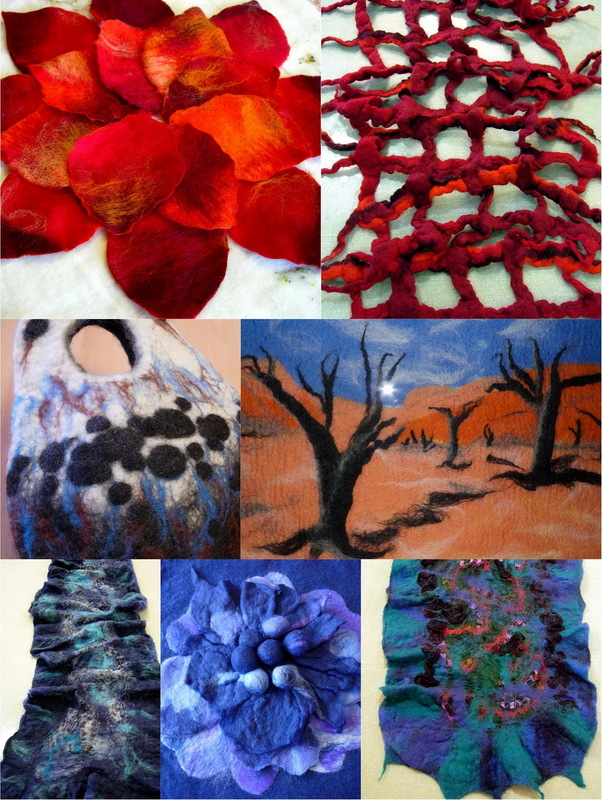 As I've said before it's difficult to photograph the wet felt at the end of the workshop, especially this time of year when the light is so bad. But finished work does come back - dry, sometimes embellished and often worn - which completes the whole process and makes it so worth while. On Monday I spent a lovely evening with the Cowes WI ladies, talking about how felt making has taken over my life in recent times and showing them how to make felt flowers. They were all keen to have a go, but I hadn't anticipated quite such a large group (40 +) ! We had to limit the numbers but hopefully I'll be invited back and will be able to include more in the practical session next time.